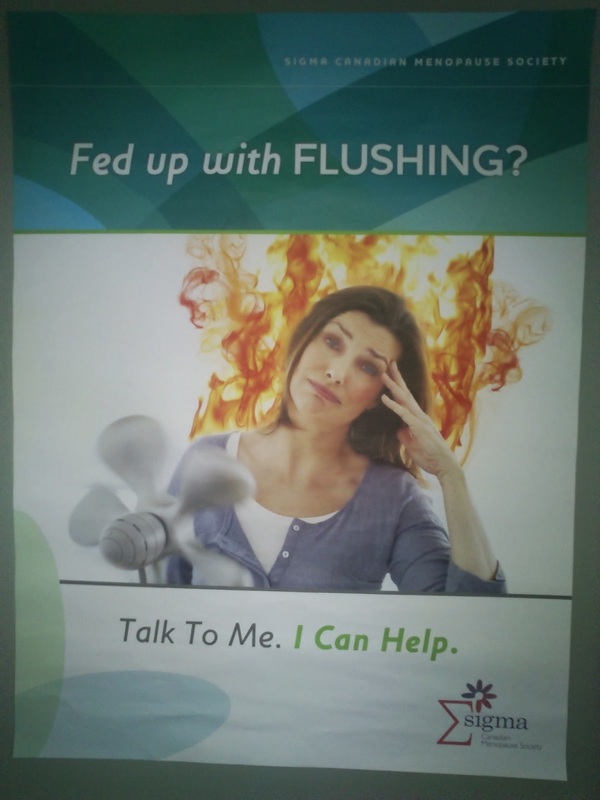 This poster was in the washroom at my doctor's office. Yes, I realize it blatantly says, Sigma Canadian Menopause Society right on it. Thanks. Still sharing--no shame. Heh. Also, who is "me"? Why is my doctor speaking to me in a bathroom stall...this is the worst ad ever. EXACTLY, Becca... I was standing there going, "do you mean toilets? Or are we talking fad detox cleanses? In which case, why is she on fire..?" Hot flashes--just call them what they are! Gah!